Are you the parent of a young child? Are you a germaphobe that doesn't like to use public restrooms? I've walked into several public rest-rooms and immediately turned around and walked out, they can be absolutely disgusting, and there is no way I'm going to let my children or myself use them. 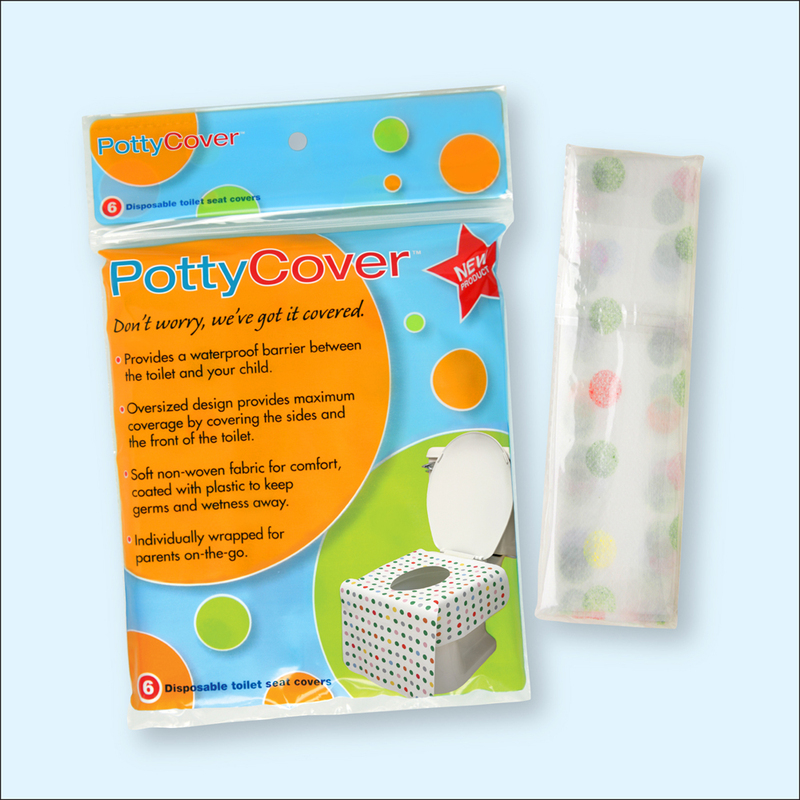 PottyCover is a disposable toilet seat cover for children that covers the sides and the front of the toilet, to keep away germs at public rest-rooms. It is made of non-woven fabric coated with a layer of plastic, creating a waterproof barrier between the toilet and the child. They are easy and convenient to use because each disposable toilet seat cover is individually packaged in a small, easy to open bag that makes it super portable and discreet. Keep one (or two) in your purse or back pocket. 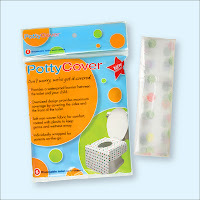 PottyCover was designed for kids, but it has quickly become a must-have travel item for many adults. I love the fact that PottyCover not only covers the top of the toilet seat, and sides but the entire front of the toilet as well! Maximum coverage equals maximum protection! This giveaway will end June 23rd at Midnight EST. Disclaimer: I received a complimentary Potty Cover samples from Tomoson for the purpose of writing a review and hosting a giveaway. Regardless, I only recommend products or services I use personally and/or believe will be a good fit for my readers. The views and opinions expressed on this blog are purely my own. Results may vary. No monetary compensation was received. I want to win so my grandson can use this in public restrooms. Those bathrooms are gross! I want to win because I have 2 neices who are going camping and there's only an outhouse which as everyone knows is so GROSS. I thought it'd be nice if I could win these for my sister to take with her. Thanks for the giveaway! Daughter is being potty trained and this would be so great for when we are in public restrooms...no bacteria! I love how they drape over the sides. Perfect for public bathrooms! I want to win because we are about to go on vacation, we are driving 18+ hours, and rest stops have the WORST bathrooms ever! My kids could definitely use these! I want to win this giveaway because our family does a lot of road trips and these seat covers would be a God Send. I'd love to win because i'm potty training twins.